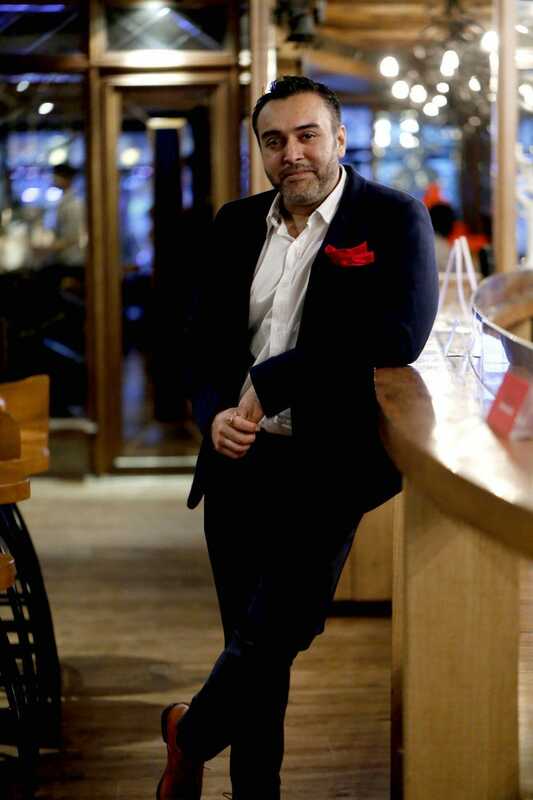 Travel has long been a driving force for Zorawar Kalra, the renowned New Delhi-born restaurateur who is set to bring an exciting twist to London’s already multi-layered and dynamic culinary scene this month, with the opening of Farzi Café. With nine successful outposts already found across India and Dubai, Farzi Café has been credited for changing the perception of Indian cuisine – due to its experimental approach and use of molecular gastronomy and food theatre. With a family backdrop immersed in restaurants – Kalra is the son of Jiggs Kalra, the pioneering food columnist, author, gastronome and food consultant known as the ‘Czar of Indian Cuisine’ – food was always at the centre of family life while Zorawar was growing up in New Delhi. Taking the lead from his father, Zorawar’s first entrepreneurial venture, ZK Restaurant Concepts, was launched in 2006, followed by a number of successful casual and fine dining restaurants. Six years later, born out of a belief that every effort should be made to elevate the position of Indian cuisine across the globe, Zorawar founded Massive Restaurants. In its first year alone, the brand won over 19 prestigious awards. Under its umbrella are a range of critically acclaimed, multi-award-winning and iconic brands, like the premium fine dining restaurant Masala Library by Jiggs Kalra, considered among the best restaurants in India. The company has also launched the smart-casual Made in Punjab, modern pan-Asian bistro Pa Pa Ya, modern ‘freestyle’ bar and kitchen KODE, the laboratory-style MasalaBar and Bo Tai, a bar and grill showcasing contemporary Thai food. With nearly two million diners visiting Massive Restaurants’ outlets each year, the next natural step was global expansion. 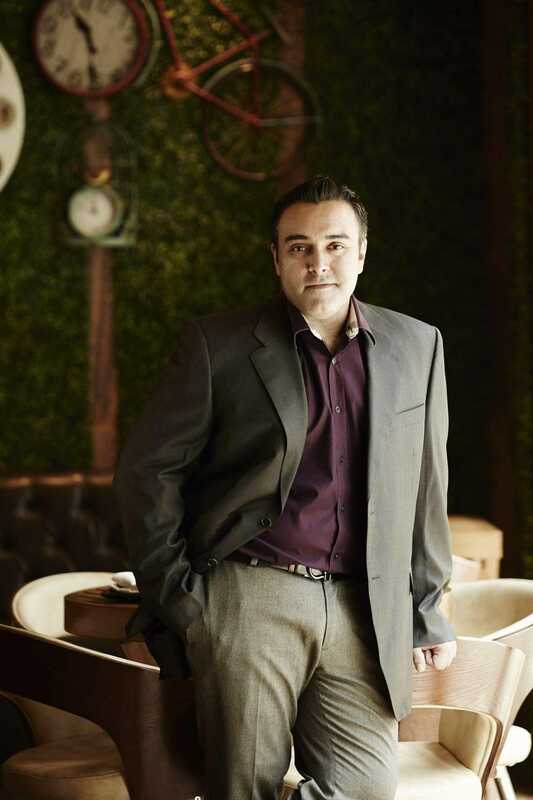 Here, Zorawar Kalra talks to Forbes about the new London opening and how travel has been instrumental in his success. As Farzi Café opens in London, what do you think the restaurant will bring to the city’s dining scene? Farzi Café is a very progressive, avant-garde Indian restaurant. It takes global influences and give them an Indian twist. The menu is also unique, and while it takes some of the signature dishes from Dubai, Riyadh and India, it is 90% original to London. Our food has a lot of familiar tastes, but they are presented in a very different way, so there is always an element of surprise. We have also taken a lot of British ‘classics’ and given them a ‘Farzified’ twist, which basically means that we have added some Indian sensibility and flavours with a dollop of boldness. What has been the most inspiring restaurant you have ever visited? El Bulli was a very memorable experience. It exposed me to the cutting-edge world of molecular gastronomy and how an incredible amount of creativity and science can come together to create a new form of eating. I visited in 2006, when it was the world’s number one restaurant. It was very difficult to get a reservation, but I was able to use charm, and some level of persistence, to be able to secure a table at 15 days’ notice (whereas a typical reservation time is six months). It was definitely the most inspiring restaurant that I have visited and it pushed me towards driving forward Indian food. How is Indian food changing? Indian food is completely revamping. There’s a plethora of very talented chefs pushing the boundaries, incorporating global influences, modern techniques and ensuring that the cuisine becomes more mainstream. I think it’s very important, especially in a city like London which already has incredible Indian restaurants. Farzi Café will focus on taking Indian food to the next level. What country is on your wish list in terms of travel? Japan. I have already been to Japan multiple times but I like going to the country once every six months. There is a culinary prowess and a high level of skill on display, which is greatly inspiring. I always find something new to be wowed by. Is travel a form of inspiration for you as a restaurateur? Absolutely! A good restaurateur will find inspiration in any country and in any form of eating house that he goes to. Some days I found inspiration from simple street food, other times it will be in a fine-dining restaurant. Inspiration is truly in the eyes of the beholder. I like to keep travelling the world in order to be influenced by different cuisines and I like to try and see how various dishes can be introduced into one of my menus. We typically take rustic or age-old recipes and give them a modern twist and that’s why having access to these local favourites or hidden gems is very important. Outside of Indian cuisine what is your next favourite type of food? Japanese cuisine would be my favourite after Indian. I love the simplicity and restraint that Japanese cuisine is all about, as well as their love for excellent, fresh ingredients. Name three travel tips you swear by? Plan, plan and plan. All good restaurants in all cities are usually always booked out in advance so make sure you make your reservations well ahead of your dates. My main reason for travel is always food and I like to try local cuisines. As a result, I plan all my reservations well in advance, so that I don’t get disappointed. As a restaurateur do you still have a love of dining out? I love eating out. Every chef is an artist who paints a unique masterpiece for the palate. Every element – from how one is greeted to the last minute when your cheque is presented – is a part of the culinary experience. If it is all done with style and finesse, I am bowled over. Yes, the food, of course, also plays a key role . Which chefs do you hold in high regard and why? My top three chefs would be: Marco Pierre White, Imtiaz Qureshi and Ferran Adrià. All have either perfected cuisines or have taken food to the next level of evolution. It’s very important to have respect for tradition but also to keep pushing the boundaries. The first two: Marco Pierre White and Imtiaz Qureshi have stayed true to authentic cuisines and have perfected them, whereas Ferran Adrià has made molecular gastronomy and cutting-edge cuisine mainstream. What can diners expect to find at Farzi? Farzi is a fresh and playful experience. It takes Indian food to the next level. The techniques might be new, the ingredients might be global, but the focus is on ‘unapologetic authenticity’ that will suit every palate. What’s next for Massive Restaurants? Right now we are focused on the London restaurant. However, saying that, we have got another 15 restaurants planned in 2019 across the world. We will be in about eight countries by the end of 2019. It’s a busy time.